China’s rise and processes of Sinicization suggest that recombination of new and old elements rather than a total rupture with or return to the past is China’s likely future. In both space and time, civilizational politics offers the broadest social context. It is of particular salience in China. Reification of civilizations into simple categories such as East and West is widespread in everyday politics and common in policy and academic writings. This book’s emphasis on Sinicization as a specific instance of civilizational processes counters political and intellectual shortcuts and corrects the mistakes to which they often lead. 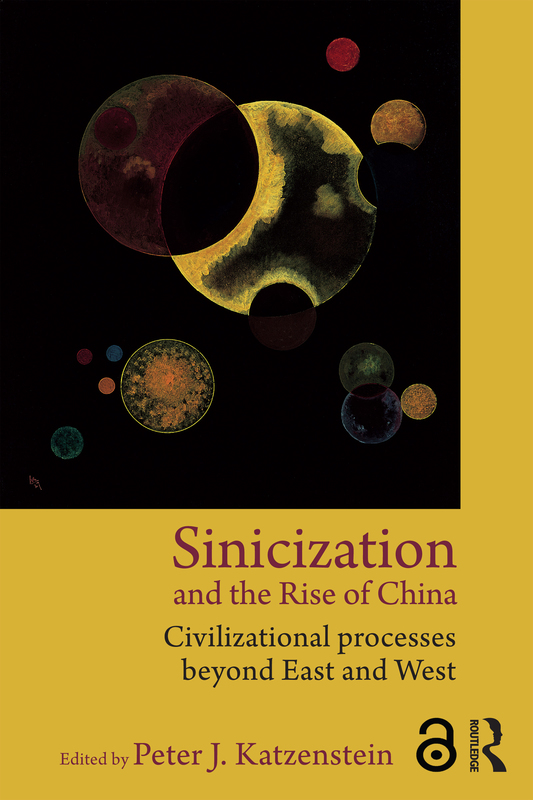 Sinicization illustrates that like other civilizations China has always been open to variegated social and political processes that have brought together many different kinds of peoples adhering to very different kinds of practices. This book tries to avoid the reifications and celebrations that mark much of the contemporary public debate about China’s rise. It highlights instead complex processes and political practices bridging East and West that avoid easy shortcuts. The analytical perspectives of this book are laid out in Katzenstein’s opening and concluding chapters. They are explored in six outstanding case studies, written by widely known authors, which over questions of security, political economy and culture. Featuring an exceptional line-up and representing a diversity of theoretical views within one integrative perspective, this work will be of interest to all scholars and students of international relations, sociology and political science. If we are to understand the importance of a rising China we will have to answer complex questions about China’s evolving civilizational and national identity and of the processes that link China to the world. The learned scholars in this volume address these questions in a series of intelligent, provocative, and sometimes controversial essays. Thomas J. Christensen, Princeton University. This comprehensive collection brings together an outstanding set of scholars to provide new perspectives on both China’s own cultural, political, and economic issues as well as its relations with the world. Students of international relations, Asia, and civilizational debates will find this thought-provoking book to be essential for its theoretically informed and sophisticated scholarship. David Kang, University of Southern California. These studies on China’s rise provide a comprehensive examination of the Sinicization process. The seven authors link past and present civilizing influences, they connect those acting within the Sinic world with those outside, and some reach further out to wherever similar processes may occur. They demonstrate that an ancient and distinctive mode of cultural change survived many crises and is alive today. The case the essays make for Sinicization as a recombination effect makes compelling reading. It is an important corrective to recent efforts to display China’s rise in dramatic and overwrought terms. Wang Gungwu, East Asian Institute, National University of Singapore. Katzenstein and the other authors in this text attempt to complicate popular conceptions of civilizational interaction by focusing instead upon hybridity and plurality. The result is a cohesive series of chapters which each contribute, more or less, to producing a nuanced dialogue centered on the perceived "rise" of China. The arguments presented are theoretically and historiographically sound and are produced from a prodigious body of both primary and secondary source materials. The authors collectively consulted the works of a diverse group of theorists and scholars ranging from Antonio Gramsci, Rey Chow, and Pierre Bourdieu to Evelyn Rawski, Maya Jasanoff, Philip C.C. Huang, John Fairbank, and Samuel Huntington. This book will undoubtedly help to further complicate debates surrounding both the "rise" of China, and the role that Sinicization plays globally. It will be well received by scholars of China, as well as those who focus upon international relations, and economic and social history. Comprehensive in scope and illuminating in many aspects, it is indispensable reading not just for experts of Chinese politics and international relations but for scholars and students of modern China in general. Peter J. Katzenstein is the Walter S. Carpenter, Jr. Professor of International Studies at Cornell University. His work addresses issues of political economy, security and culture in world politics.